Banking from your computer or smartphone can make managing your money more convenient. We figure we don’t have to tell you how much banking you can do with your computer or smartphone. A 2017 survey by The Federal Reserve shows that about half of U.S. adults with bank accounts used a mobile phone to access a bank account in the past year. A 2016 survey counted 58% of consumers using a mobile device to make a transfer between accounts and around 48% making a deposit into their account and paying a bill via mobile technology. As your life and goals change, you might need different mobile and online banking services. Wells Fargo is always updating its lineup of tools to help you manage all of your finances from one convenient location online. Map a path to your financial goals with My Money Map. With one click, you can view your spending, budgeting, and savings in easy-to-understand charts. You can also establish short- and long-term financial goals and budgets. Plus, your information is automatically updated, so you can monitor your progress and adjust as needed. Paying your bills through Wells Fargo Online® or with the Wells Fargo Mobile® app is quicker and easier than writing and mailing paper checks. With Bill Pay, you can pay anyone you’d normally pay by check — any company or individual in the U.S. Just say who, when, and how much, and schedule one-time or recurring payments. You can also check scheduled transfers between Wells Fargo accounts and payments from those accounts in one place. The mobile website allows you to access accounts to check balances, view detailed account activity, make transfers, pay bills, and more. Text banking allows you to quickly request and receive basic account information via text message. Wells Fargo apps add one-touch access to your account, easy menu navigation, and GPS-powered ATM/location information. Note: Transaction will be effective the same day if it is made by midnight Pacific Time, Monday – Friday. Transactions that are made on a non-business day will be effective the next business day. It may take up to two business days for the transaction to appear on your mortgage account. 1 Some accounts are not eligible for mobile deposit. Availability may be affected by your mobile carrier’s coverage area. Your mobile carrier’s message and data rates may apply. Explore online banking with Wells Fargo. 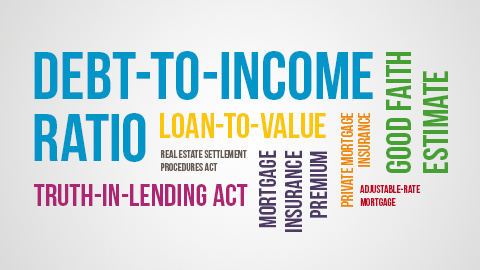 A glossary of common mortgage phrases and acronyms. 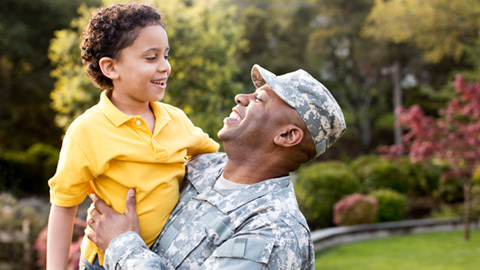 From maximum loan amounts to credit score requirements, we’re setting the record straight on this benefit for veterans and service members.